Say the name “Oldsmobile” and it doesn’t exactly conjure images of powerful sports cars. 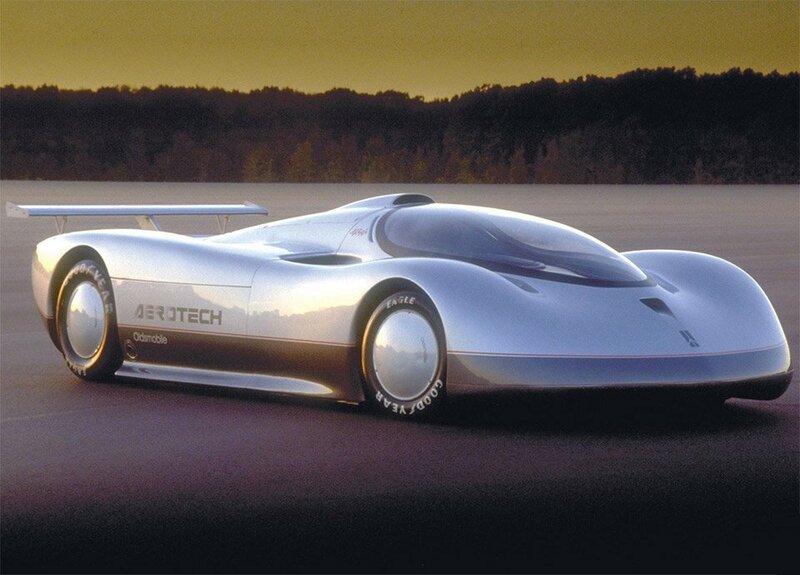 But back in 1987, the company stamped their name on this futuristic looking hypercar, dubbed the Aerotech. 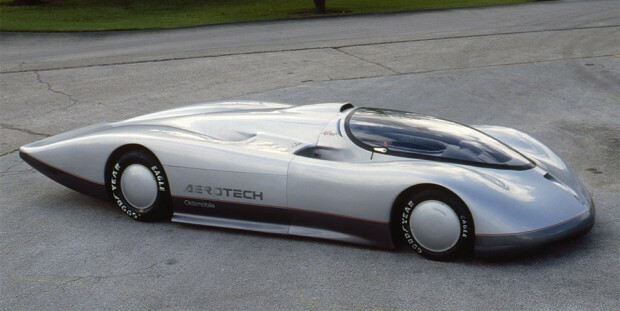 Built in several iterations between 1987 and 1992, the Aerotech wasn’t really a concept car, but was designed and built as an experimental test vehicle – with its sights set on breaking automotive speed records. In 1987, the Aerotech I was driven by Indy 500 champ A.J. Foyt to break the closed-course speed record, achieving a Veyron-esque top speed of 257.123mph on a 7+ mile test track. On a straightaway, he reportedly pushed the car over 290 mph. The 1600 pound car was built with an extremely slippery carbon fiber body shell, and a unique adjustable underbody, which allowed downforce distribution to be tweaked from front to rear. It was powered by a special turbocharged variant of Oldsmobile’s Quad 4 engine, based on the same engine found in the Cutlass Calais of its era. 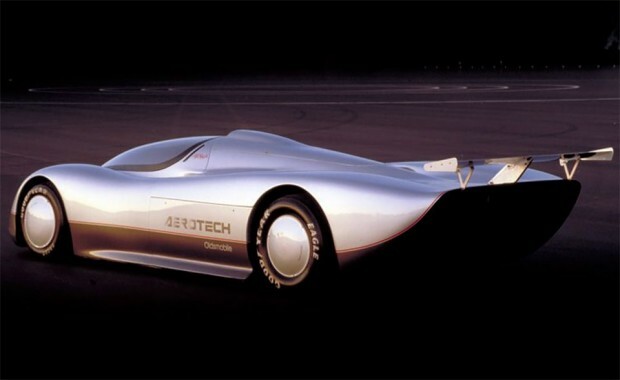 The first variant of the Aerotech had a single turbocharger that output about 900hp, while a later variant would have twin turbos and hit 1000hp. 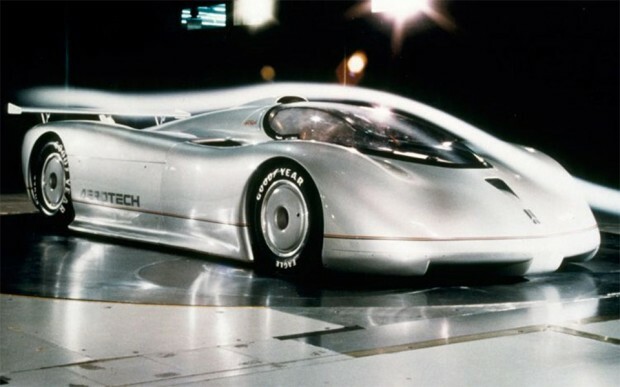 In 1992, the car would be fitted with a 4.0-liter Olds Aurora V8, and broke a number of speed endurance records. Most recently, the Oldsmobile Aerotech was on display at the GM Heritage Center in Sterling Heights, Michigan, though it’s unclear if it remains there at this time.